This is an allergy to cold temperatures resulting in redness, itching, hives and swelling on the skin that has been in contact with the cold. For instance, swimming in cold water is the most common cause of a severe whole-body reaction leading to shock, fainting and even death. The exact cause of this condition isn't clear. Certain people seem to have overly sensitive skin cells either due to an inherited trait or caused by a virus or other illness. Being exposed to the cold, triggers the release of histamine and other immune system chemicals into the skin, causing itching and redness. 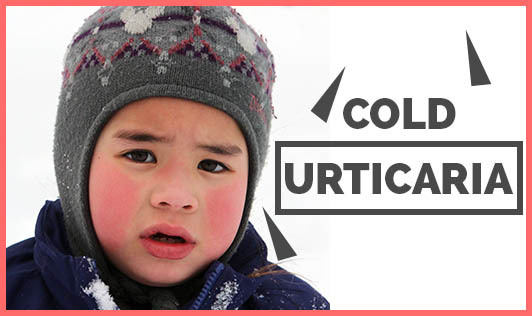 Cold Urticaria can occur in any age group whether you're male or female. Contact your doctor immediately, if you experience a severe reaction after sudden exposure to cold!